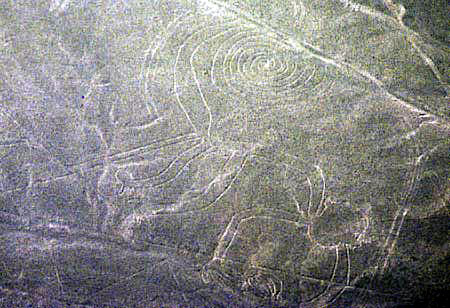 There have been all sorts of theories as to the origin of the Nazca lines- but no matter how they were formed they make a remarkable sight from a small aircraft. On the left is the famous large monkey with curly tail. 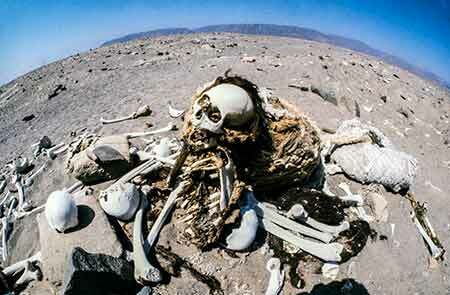 The Nazca civilisation reached its peak about AD 800 and in a nearby valley is a large desert area containing many human remains over 1,000 years old. 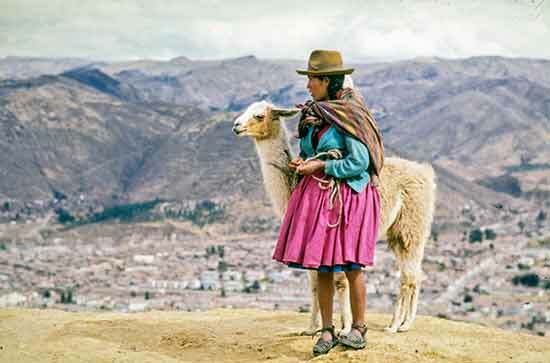 A familar sight in Peru - llama and minder! 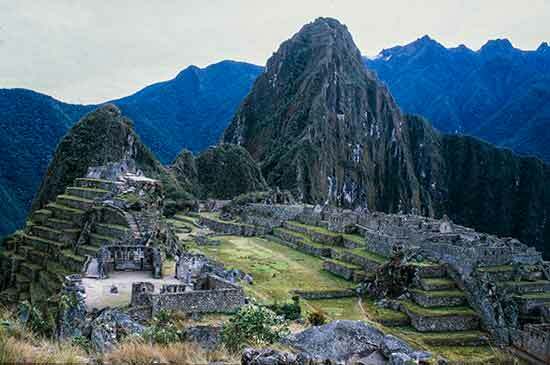 Machu-Picchu was discovered as late as 1911 by Hiram Bingham. Its an amazing place. If possible its best to stay at the local tourist hotel and not travel there on a day trip. This Inca staging post on the Inca trail is situated on the saddle of a mountain and was hidden in jungle for centuries.